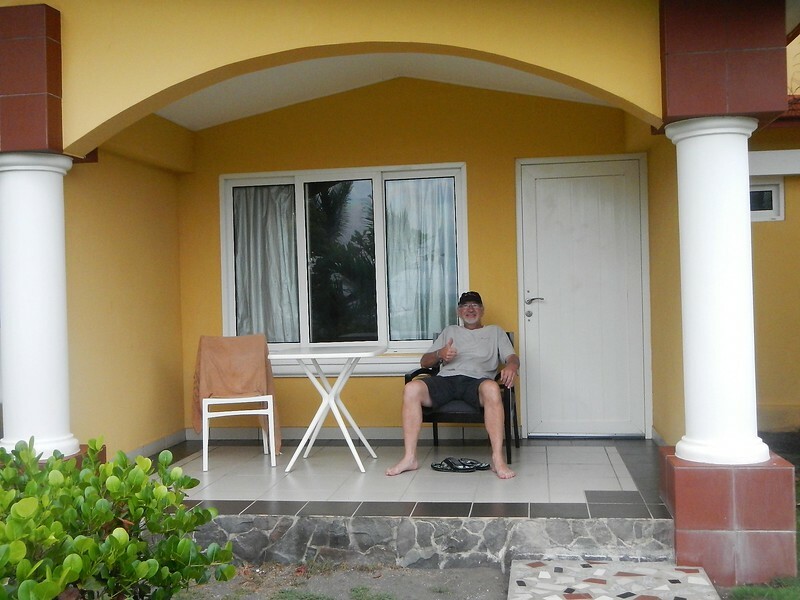 I see it’s been a few days since the last post….. Central America will do that. It’s HOT, WET and HUMID. 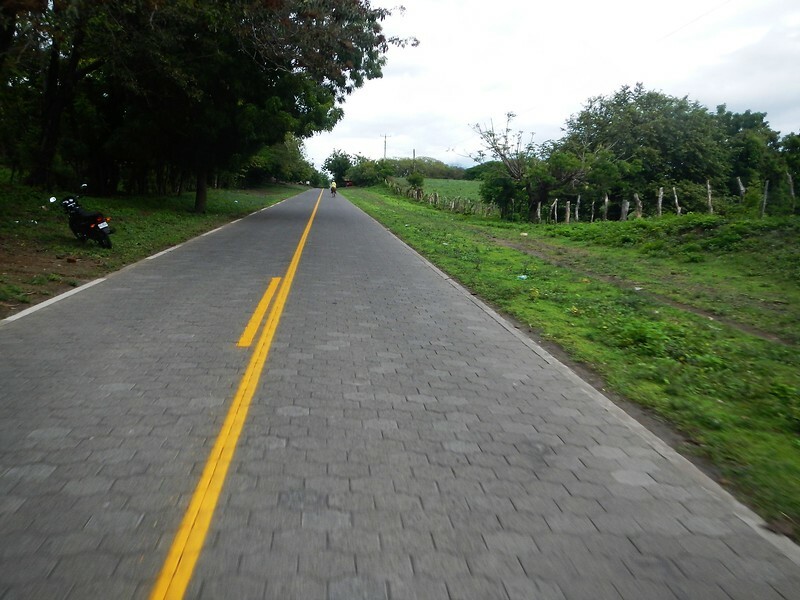 The close proximity of countries with their border crossings and narrow roads through cities filled with topas (speed bumps), slows everything down. In a way we want to hurry through Central America, in another way we want to explore places we haven’t been. I’m counting border crossings in my head, two more until the USA. I’ll be glad when we are done with those and am worried about having only one blank page left in my passport…. All in all, the jump over the Darian Gap wasn’t that bad. On Tuesday May 4th 2017 we landed about 1:00 in the afternoon and took a cab to the cargo area at the airport to retrieve our bikes. While Bogota weather was more like Seattle with overcast skies and temperatures in the 60’s due to the elevation, Panama City was a steam bath. Hot and humid. We stood outside the warehouse holding our bikes for about a half hour in the sweltering heat before we were handed our paperwork that needed to get stamped at an office about a half mile away! We started hoofing it when a truck driver who overheard our conversation offered us a ride in the big rig. Nice. In typical border crossing / aduana (customs) fashion we waited, got stamps, waited, got more stamps and eventually were released to walk back, in the heat, to the warehouse where we could spring our bikes free. The metal warehouse was a sweltering steam box when they let us in. Two guys started unstrapping the bikes but didn’t have a knife for the plastic wrap. I retrieved my knife and Deby and I went to work with the plastic. It was so hot that my clothes were instantly soaked through. It took what seemed like forever to get the mirrors back on and the gear loaded but eventually we managed and were on our way…. back to the building where we got all the stamps. This time we waited in the sun for an aduana person to complete more forms and inspect the bikes. As we stood there we watched a thunderstorm form and start moving towards us. You guessed it, we were released just as the storm hit and we rode 45 minutes in a downpour to our hotel on the north end of town. We checked in at the Country Inn and Suites right along the Panama canal, the same place we stayed on our last trip here with MotoRaidII. I’ll report that nothing much has changed in the last 4 years but it was nice to stay somewhere familiar. Note the lack of pictures… we were just too fricking hot to think about photos and were glad for a room with AC where we could call it a night. Friday May 5th we decided to try for a early start to beat the heat and get to our destination before the daily afternoon monsoons. We skipped the touristry stuff in Panama City and just wanted to make progress north (actually west) towards some higher elevations and hopefully cooler temperatures in the mountains. 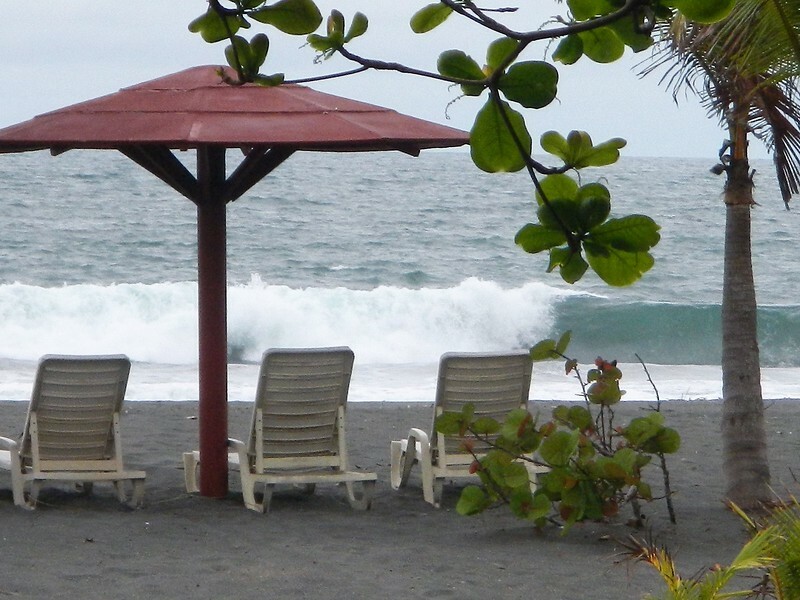 We randomly picked a destination almost to the Costa Rica border along the Pacific Coast. Thanks to Booking.com we ended up at Las Olas Beach Resort. I stole this picture from their web site. It looks big, and is but I think most of the resort is condos and relatively few actual hotel rooms. For such a big place I think there were less than 10 guests. I will say it was super quiet and relaxing with a fantastic remote beach. After checking in Deby and I looked at each other and said simultaneously, “two nights”. We needed a day to chill (literally and figuratively) and make a Central American plan. Sunday May 7th, 2017. A good day for a border crossing? We purposely chose an out of the way border crossing, Rio Sereno. 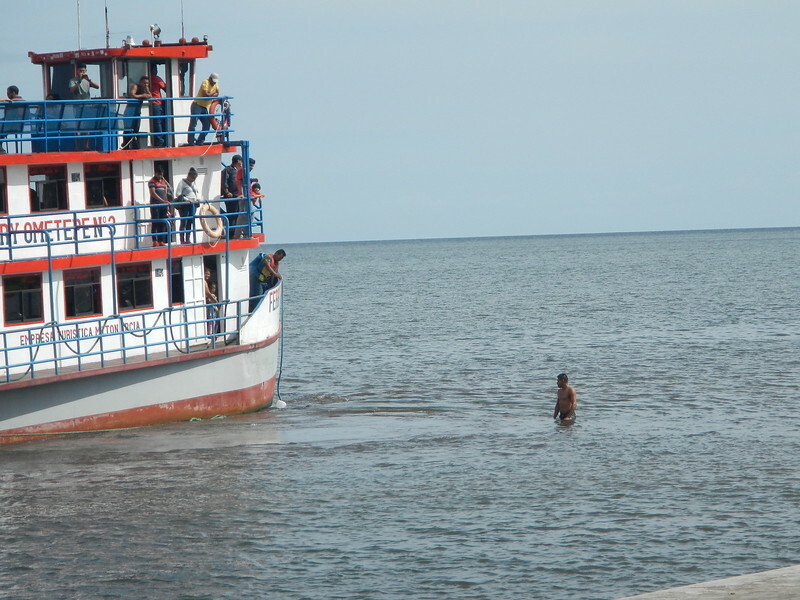 We arrived at mid-day and seemed to be the only people crossing into Costa Rica, which was good. We checked out of Panama without too much issue after locating the aduana office in what was literally a cargo container with a door perched on the side of a dirt road. Entry into Costa Rica was not as easy. Aduana was manned by a single person who moved in the slowest motions imaginable. Do you have seguro? (insurance). No. Hmmmm, problema. Can I buy some? No, it’s Sunday. Well, now what? 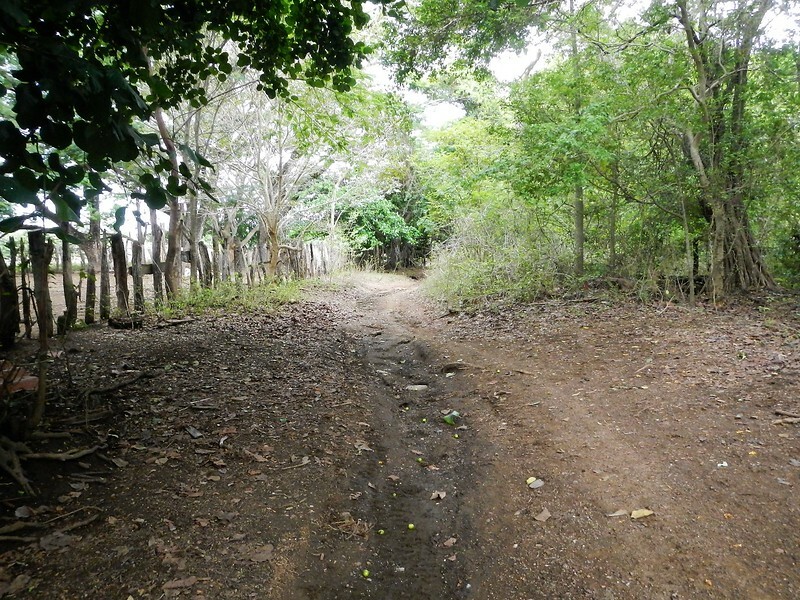 It’s 100 degrees, we are checked out of Panama and standing on the side of a dirt road that is no-man’s land between countries. I decided to just stand there. The aduana guy looked at me with a permanent frown plastered to his face wondering if I was going to leave or just stand there. I was going to just stand there. Nobody else was around, just us and I had nowhere to go. Finally he looked at us sweltering in the heat and wrote something on a scrap of paper. He told us to take it to the supermarcado down the street and they would sell us insurance. Hey, how about that. At the store they took our money and after a long wait while the woman typed into a computer gave us a tiny receipt to take back to aduana. We returned with our scrap of paper and aduana guy went to work typing with two fingers as fast as he could, which was not very fast. We waited, and waited. Something was wrong…. oh the printer stopped working. He’s on his cell phone calling tech support or someone. More waiting, nothing. He’s trying to get it to work. Somehow after about an hour some papers spit out and he starts stamping everything and somehow we are clear to go. Geesh…. another wonderful border crossing. Finally, we were back on the road after two and a half hours trying to cross a border where we were the only ones there. We hit the road and blasted just trying to make some time. Nice roads through lush jungle when it wasn’t raining. And some nice twisty sections. It was getting close to 6:00 PM when we approached the down of San Isidro. The afternoon rain was in full force and it was starting to get dark, time to look for a hotel. I saw a sign for a resort on the outskirts of town and decided to follow the arrows to check it out. We wound up into the surrounding hills as the rain started to intensify. Arriving at the gates it appeared to be a little more upscale than we were used to and we learned after a half hour tour in a golf cart that the rate was $425 a night! What the? Ok, that was beyond my threshold and reluctantly we put on our riding gear and rode back into the night sky and thunderous downpour. On the way into town we saw a sign for a Best Western, ahhh there we go. Monday, May 8th – to the beach! Deby read about a “glamping” place on the beach close to the border with Nicaragua so we booked a night using booking.com and loaded the location into my GPS. It was 250 miles away but we thought we could make it. It didn’t quite work out so well. 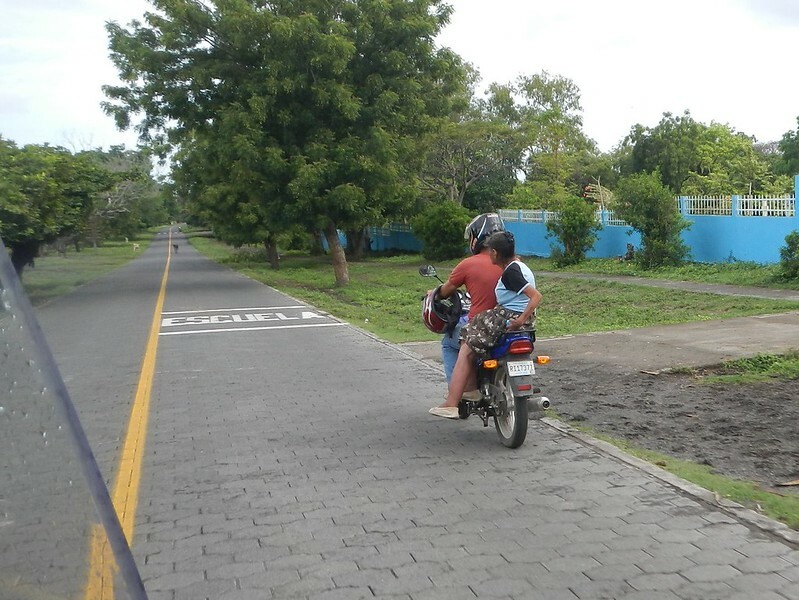 We saw a “short cut” on the map that utilized a ferry across the Golfo de Nicoya. The ferry terminal was at the end of a long spit of land that was heavily populated with a congested road that we navigated in 95 degree heat. When we arrived we found the ferry wouldn’t leave for another three hours, just in time for the afternoon thunderstorms to hit. We took a few minutes to re-hydrate and eat something and turned around to take the round about route to the coast. Bummer. We raced as fast as we cold for the Flor y Bambu glamping hotel. 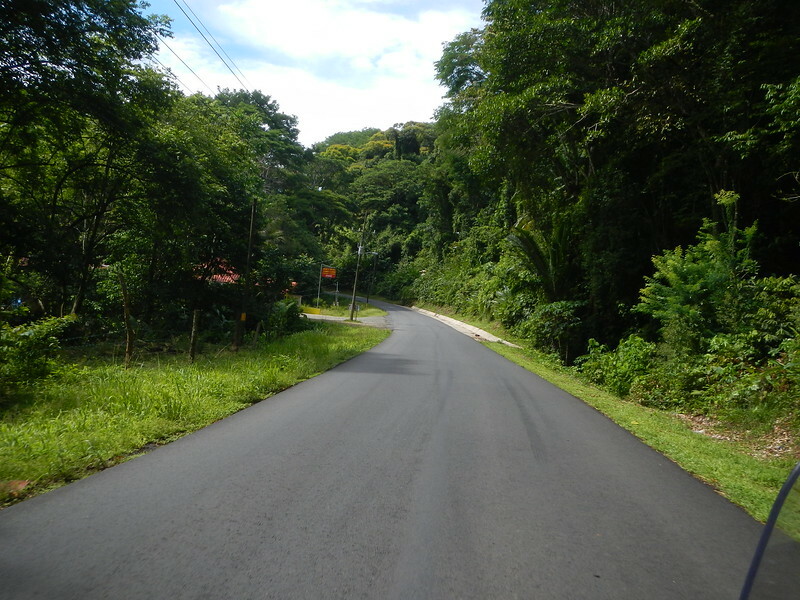 As we got closer we were on some really nice, newly paved roads. Getting even closer we needed to cut down to the beach and my GPS routed us on a “shortcut”. Suddenly the road looked like this. Then it got worse and became a horse path that was full of MUD! (What’s a blog post without MUD) The camera stayed put away but we were not in a good mood struggling in the heat with the big bikes through the mud, arrrrg. It was only a couple of miles but seemed longer before we were back on pavement, that’s when it started raining. At least it didn’t rain while we were on the mud road. Ok, we were almost there. We arrived at Flor y Bambu at 3:30 in the afternoon, hot, tired and ready to get off the bikes. The gate is closed. What? Nobody is around. There is no doorbell. We walked around the property and were only greeted by a barking dog. No other gates, nothing. Deby is calling out – hello! Anybody there! I finally think to drag out my cell phone and give them a call. I can hear the phone ringing, no answer. We are two drowned rats standing on the muddy road in front of the gate in the hot tropical rain. That’s when I look over an notice I have a flat front tire! Arrrrg, I get out my pump and get enough air to move on. We rode down the road closer to the beach and came to a somewhat nice hotel, they’re full except for a dumpy $40 room with no windows in an old decrepit building in the back of the property. No gracias, and we move on. The next place is the RipJack Inn, The third try and we are ready to take anything, I don’t even care what it costs (well…. so long as it’s not $400!). Yes, they have a cabin, pool, restaurant, bar and it’s across the street from the beach. Oh yea. We’re in. We booked two nights. 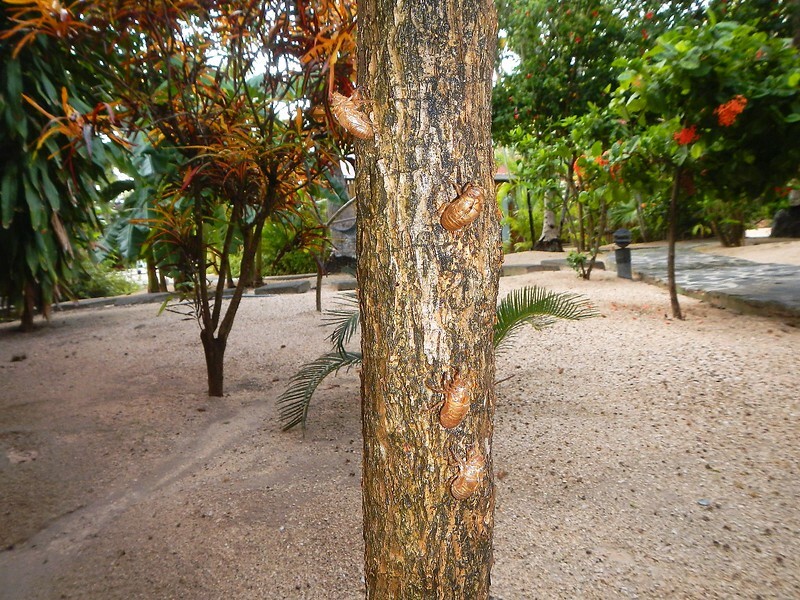 We saw these bugs on a tree outside our door, scary? Guess what… they were all dead! 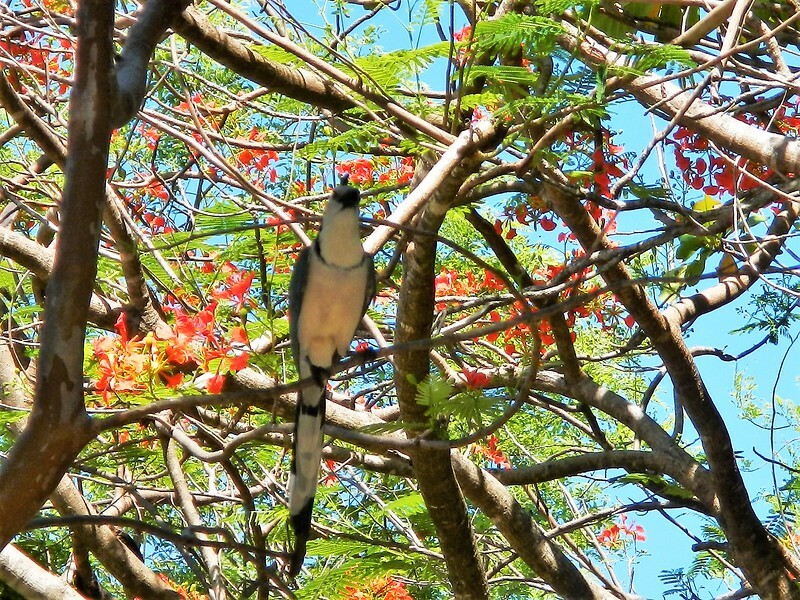 All kinds of exotic birds in the trees. 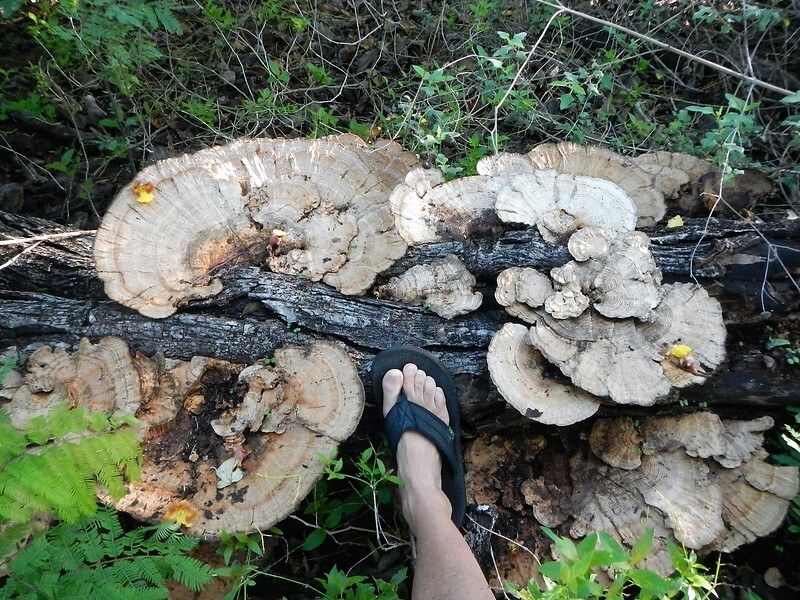 Big fungus on the short walk to the beach. 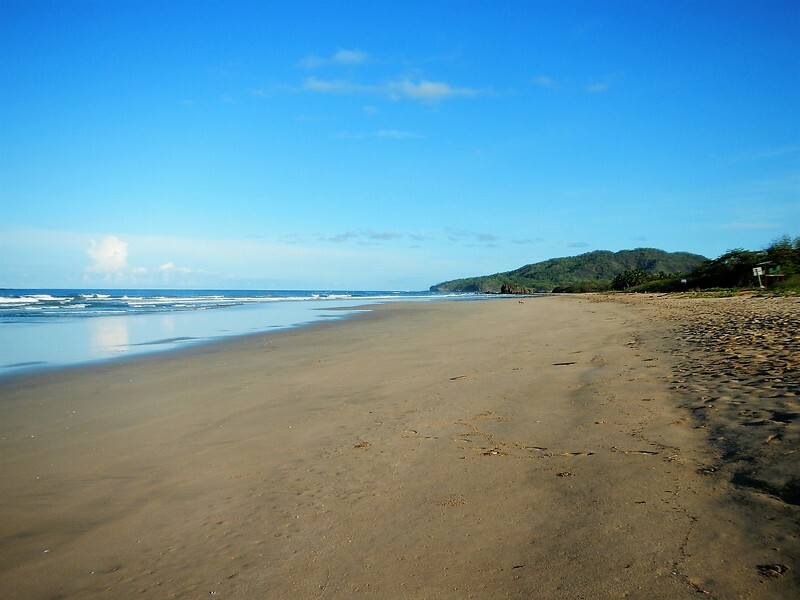 The beach is named Grande Beach, aptly named. It was big with not many people. Very peaceful. 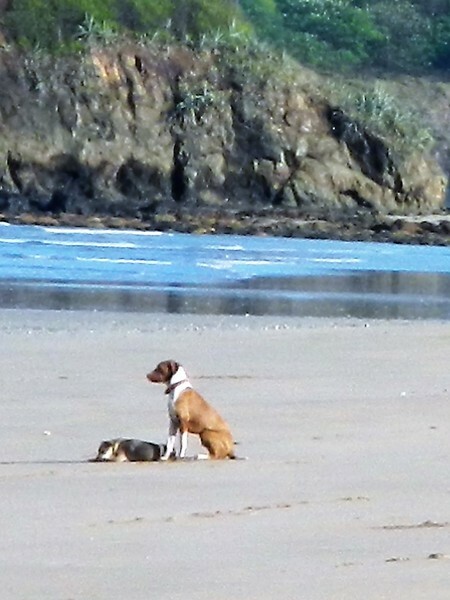 There was a woman with two dogs who went out for some surfing, her dogs just sat faithfully watching her surf and didn’t move an inch. 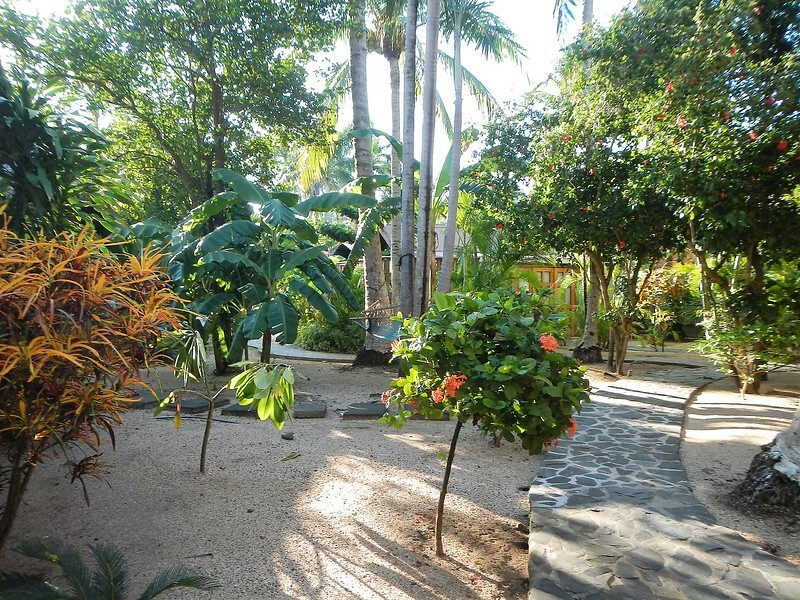 Nice garden like tropical setting at the RipJack. 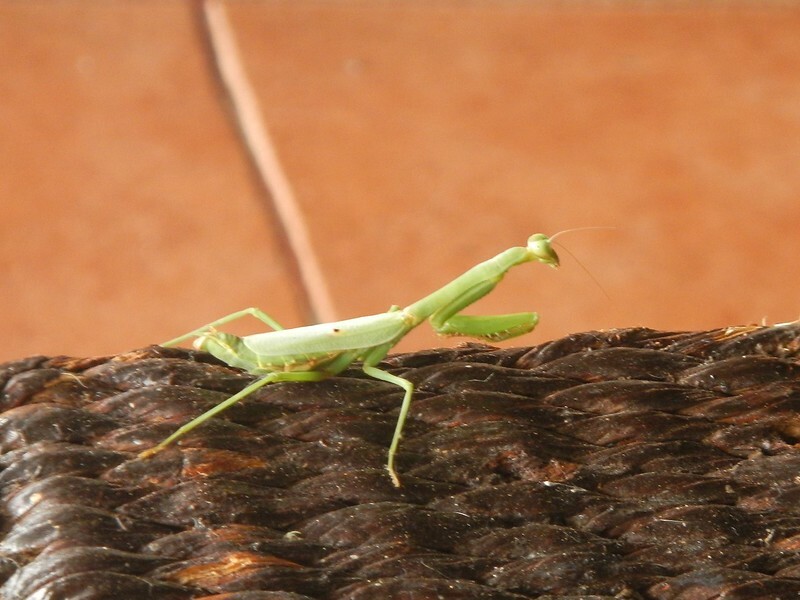 Deby took a nice picture of this guy hanging around our cabin. 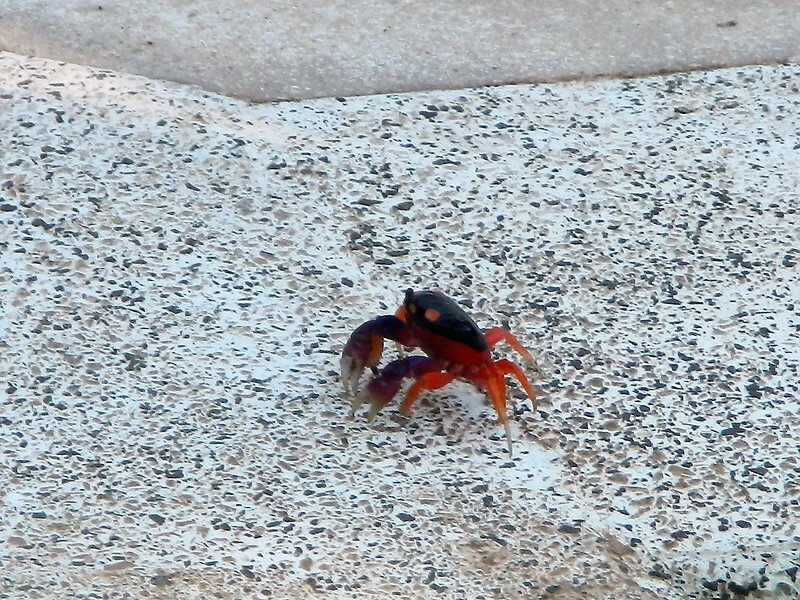 Mr. Crab paid us a visit. I got up early when it was only 85 degrees and stuck a new innertube in my front tire. Wednesday May 10, 2017 – Nicaragua. Fully aired up, rested and ready to get on the the adventure we once again made an early start and this time pointed back north to the Panamerican Highway and the border crossing into Nicaragua. This one was as messy as they get. 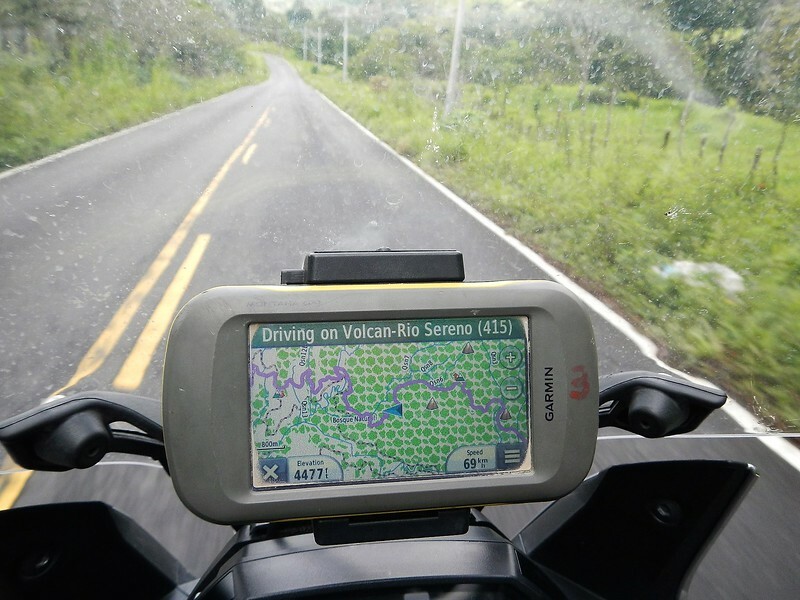 Crossing any border in Central America on the Panamerican Highway is just asking for trouble. We arrived just before 11:00 AM and were out just after 1:00 PM. In the middle it was hot hot hot and chaotic. Getting out of Costa Rica wasn’t too bad. Once stamped out of the country we rode to a checkpoint and then off the short distance of no-man’s land between countries to Nicaragua. At that checkpoint I went to flip my bike into gear and it happened again…. nothing. Arrrrrg, dang modern technology. The computer was sensing something with the motorcycle wasn’t right and as a safety feature will not engage the transmission. Something not right? Indeed something was not right, it was a fricking 100 degrees, I’m hot, the motorcycle is hot. The border crossing system requires starting and stopping the motorcycle about a dozen times within 100 feet for various check points. I’m surrounded by people trying to hustle me or sell me something or offering to “help” or looking at me suspiciously while holding an automatic weapon wondering why I’m sitting there. If I had a safety feature that wouldn’t let me go whenever something wasn’t “right” I would have not been able to move at all. 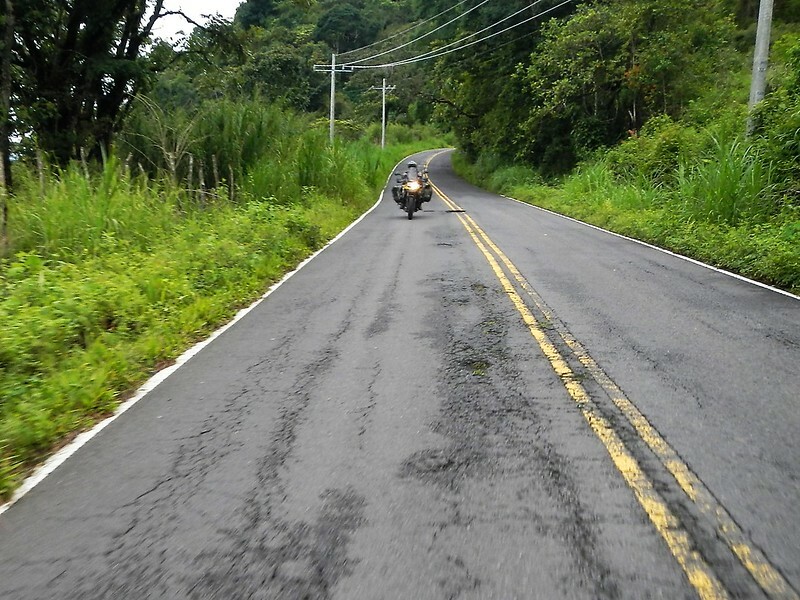 I decided it would be best to try to push the motorcycle to the Nicaragua border and would rest every 100 feet or so when I came to any bit of shade. That garnered even more attention but I was not in a good mood and ignored anyone that came near and gave out my best Spanish stink-eye to anyone who dared approach me. Then a miracle happened, at one of the shade stops I tested the transmission and it shifted into gear. Great, I was able to ride the last 150 feet to the next stop in the blazing sun. Here is where it got crazy but I didn’t care. It’s chaos all around the bikes, food carts, people selling stuff, trucks, cars and tour buses full of people everywhere. There is no shade so Deby volunteered guard duty while I looked for aduana and immigration. Somehow “Omar” befriends me and before I know it he can get me to the front of the line for a “price” and shortcut the whole process. He got me in a weak moment. Somehow papers go stamped including for the motorcycles without never having been inspected. He took me to get all kinds of copies and got all the paperwork in the right order and sent us to the right windows with the right people. Our luggage didn’t need to go through the scanner at customs and in a short time we were allowed to go. Omar met us at the gate on the outside of the border for his fee…… it was a long list of what bribe went to whom but it ended up being $40 per bike. That included insurance, bribes, aduana fee and his “tip”. Worth it? I don’t know but we were through and I didn’t really care, we were in Nicaragua. 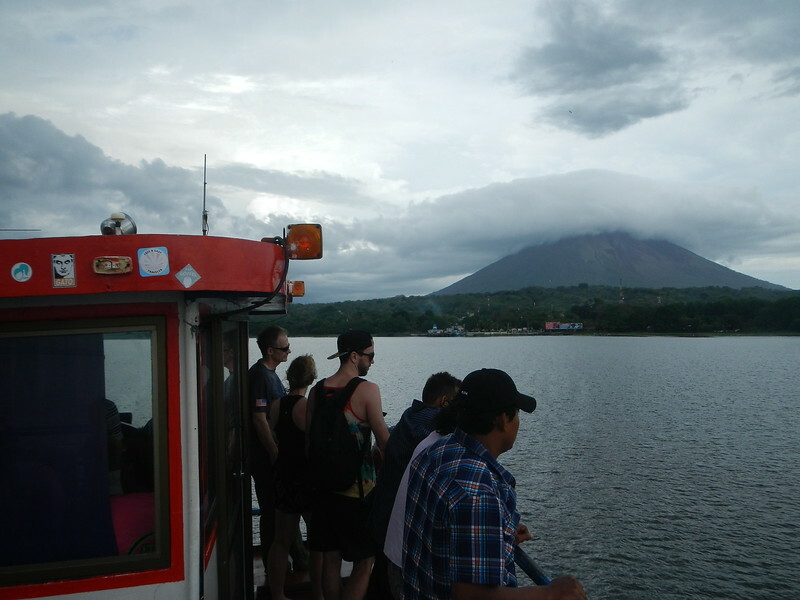 The plan for the day was to visit the island of Ometepe which is a volcanic island in lago Nicaragua. 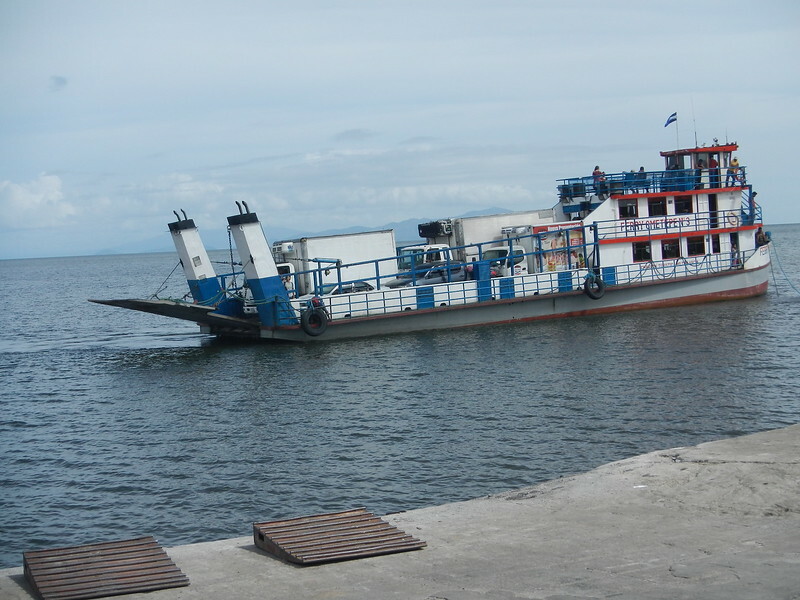 Lake Nicaragua is a freshwater lake in Nicaragua. Of tectonic origin and with an area of 3,191 sq mi, it is the largest lake in Central America, the 19th largest lake in the world (by area) and the 9th largest in the Americas, slightly smaller than Lake Titicaca. With an elevation of 107 ft above sea level, the lake reaches a depth of 85 ft. 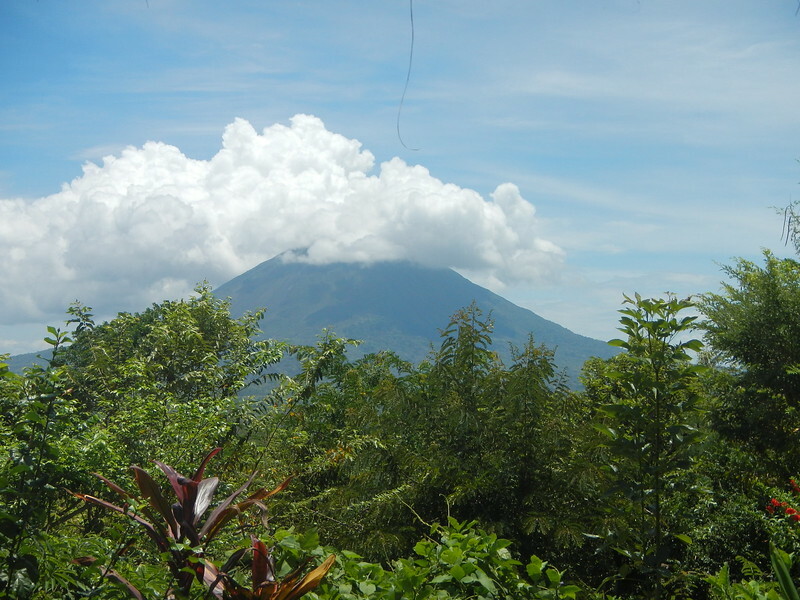 The island has two volcanoes, Concepción which is active and Maderas which is not. They are joined by a low isthmus to form one island in the shape of an hourglass, We had a reservation at the Totoco Eco Lodge on the side of the Maderas volcano. 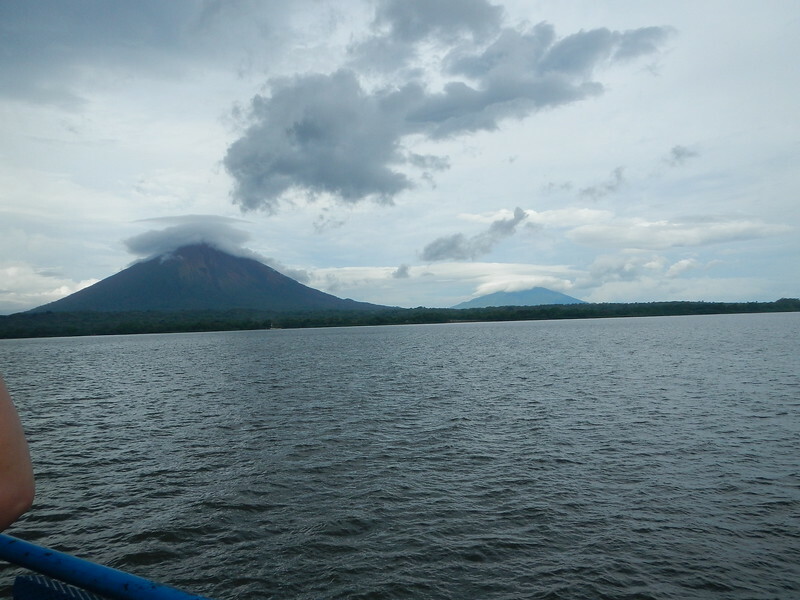 On the ferry ride in you can see the two volcanos, we would be going to the shorter one on the far side. 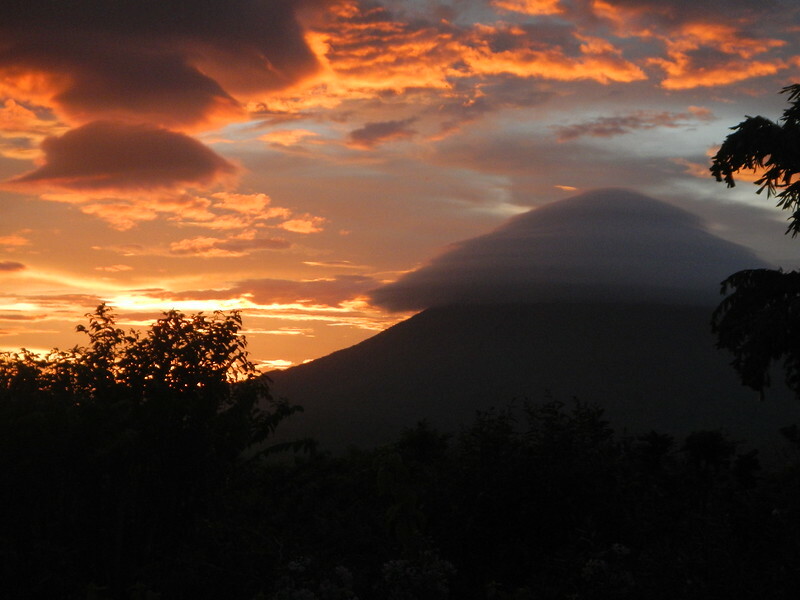 The taller of the two, Concepción had the cone shaped peak mostly enveloped in clouds. 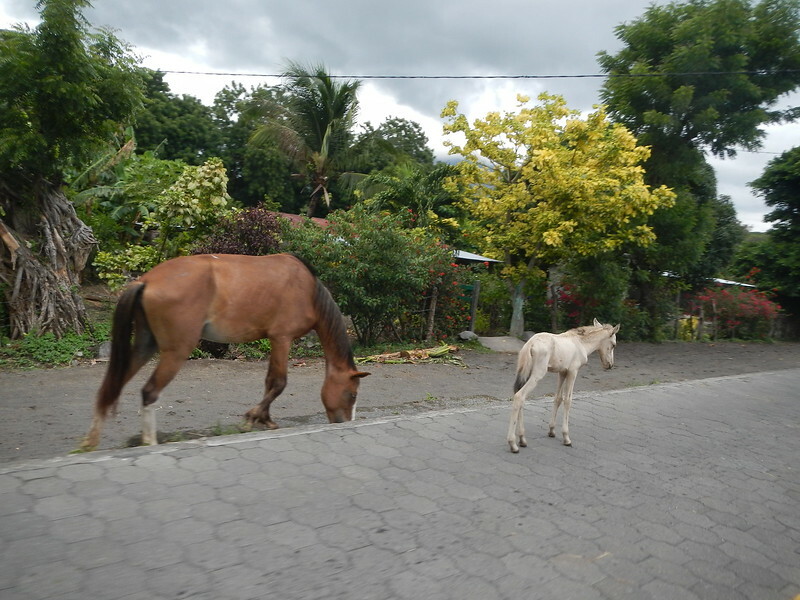 Once on the island the 45 minute ride to the hotel was on the main road that circumvents the volcanoes. It is entirely made of paving blocks. 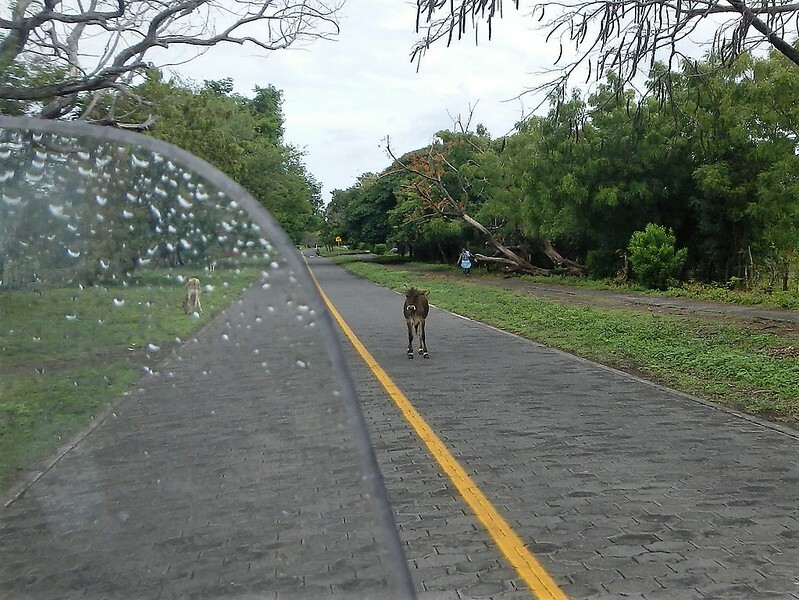 Every type of animal was roaming this road so we needed to be careful. I could have taken a dozen pictures like this calf just standing in the middle of the road but thought it best to hang onto the handlebars and not the camera. Or this lady riding side saddle. When I got next to here I was going to take another picture when I saw she must have been 70 years old and was giving me the serious stink-eye when she saw my camera, I put it down. 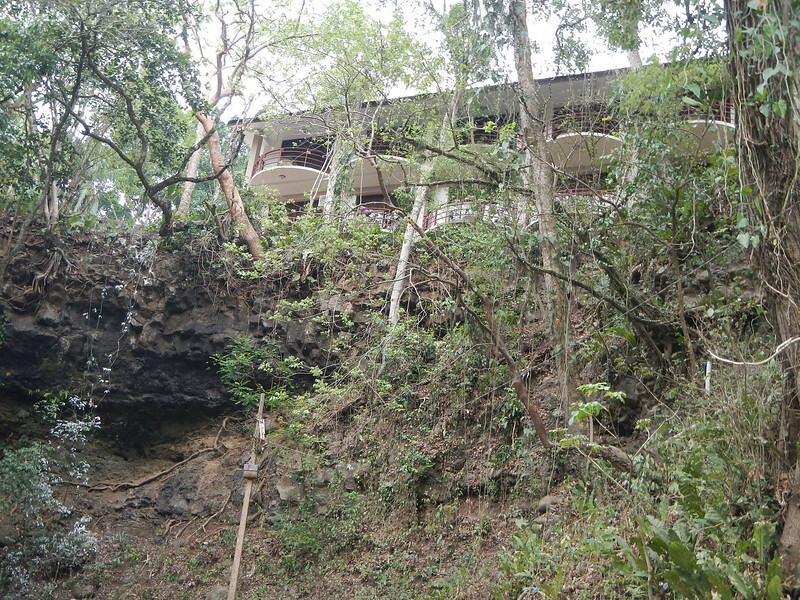 The last mile to the Eco Lodge was up a steep rocky rough road through the Jungle. 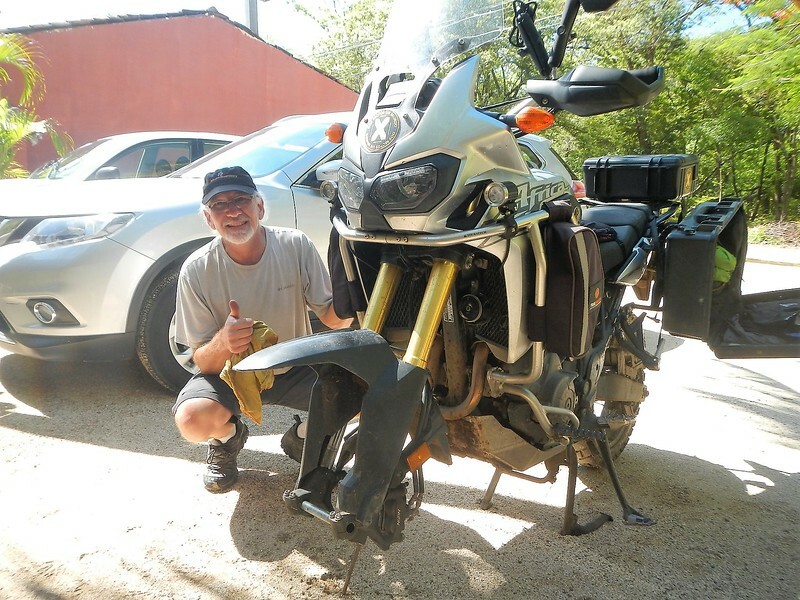 Normally, it would not have been too big a deal but we were exhausted from the day, the heat, the border crossing and it wasn’t a welcome end to the ride but we made it with no misshapes. This was our reward…. 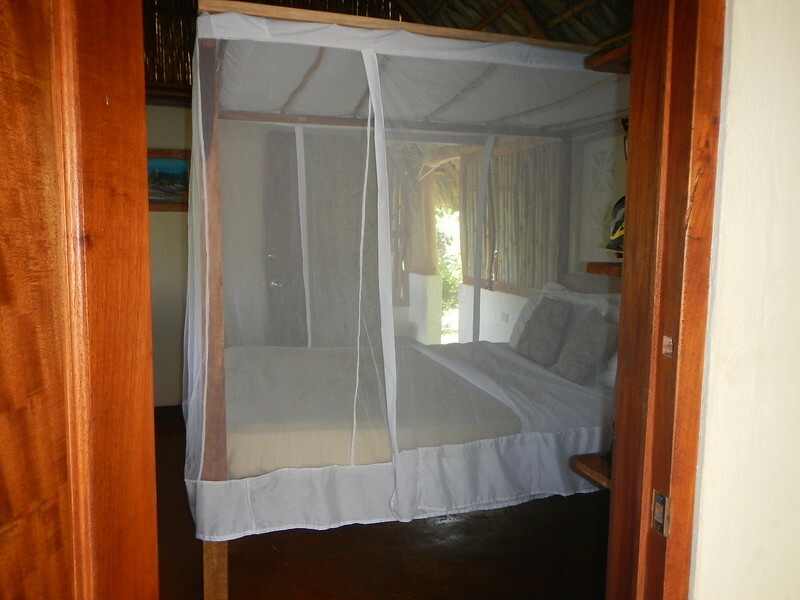 Another bed with mosquito netting. Good thing because this guy wanted to get in. We were rewarded with a fantastic sunset and a nice cap on the mountain. The next day was a day off, reading, planning and checking out the wildlife. The jungle was full of howler monkeys. They were really loud especially in the morning when you could hear dozens of them making their howling sounds. 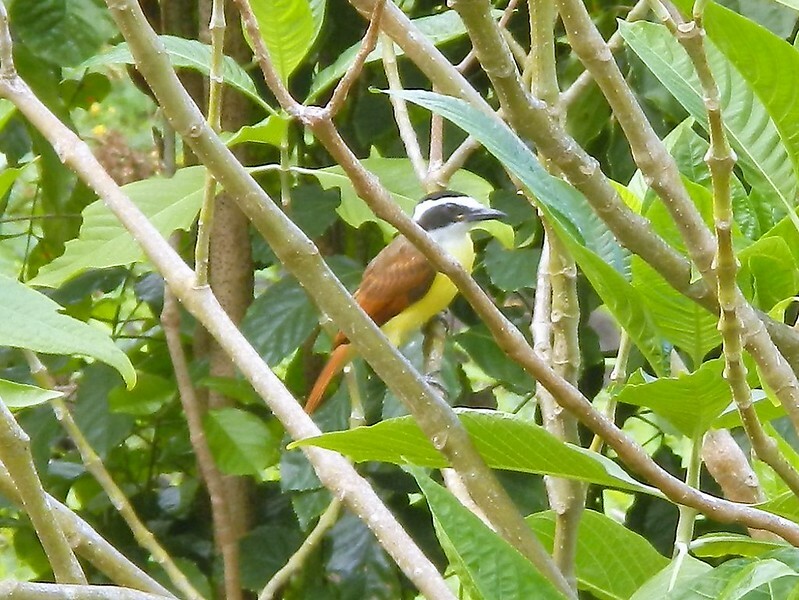 At night the jungle was super loud with birds and insects making a huge ruckus right outside our cabin. 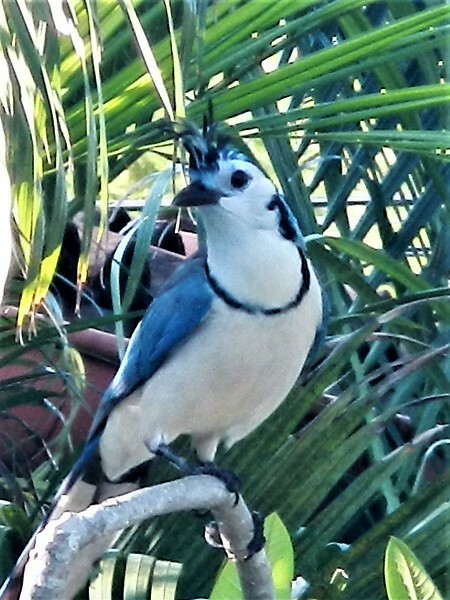 Here’s a nice bird came to visit. Or this butterfly. 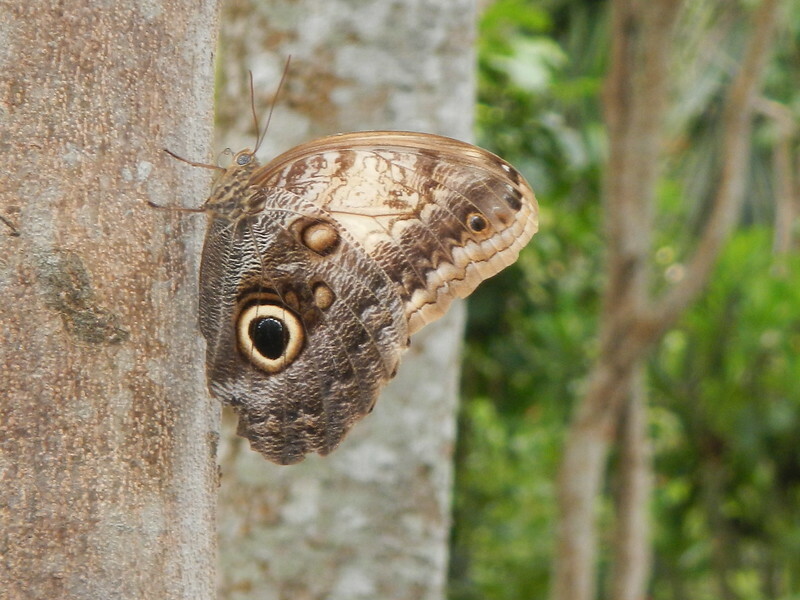 I’m guessing the “eye” pattern on the wing is to scare off predators? 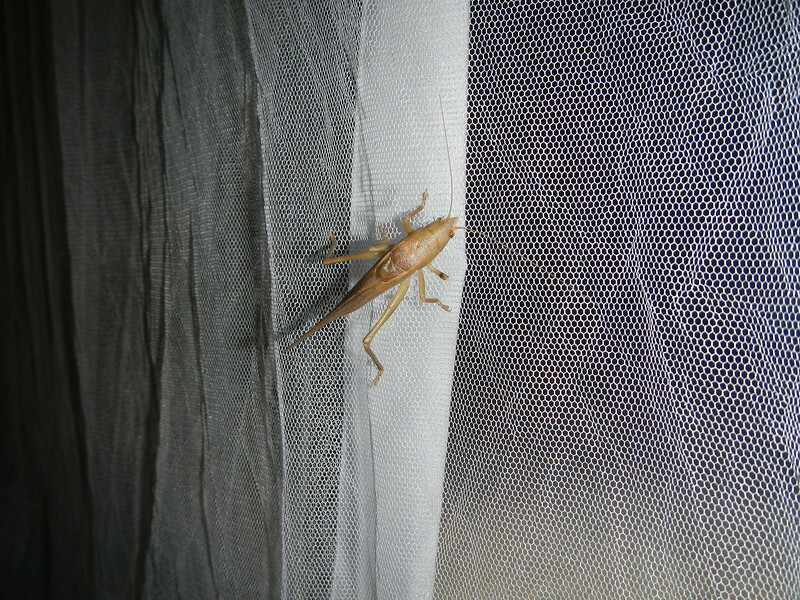 Here is an interesting bug that climbed onto our wicker chair. I was reading in the hammock and a lizard dropped from the ceiling onto my pant leg. I jumped up to brush him off but they have these sticky legs and it took some effort. I think Deby was more freaked out by the whole thing as she watched me. Another time I went to put on my hat and felt something drop onto my neck. I swept it away and looked down to see a tarantula crawling off. Ahhh, life in the jungle. Deby found a spider in her helmet the next day as we rode off. That made for some exciting conversation as we were riding. She got it out without having to pull over and didn’t get bit. Although later she got stung by a bee that flew into her helmet. 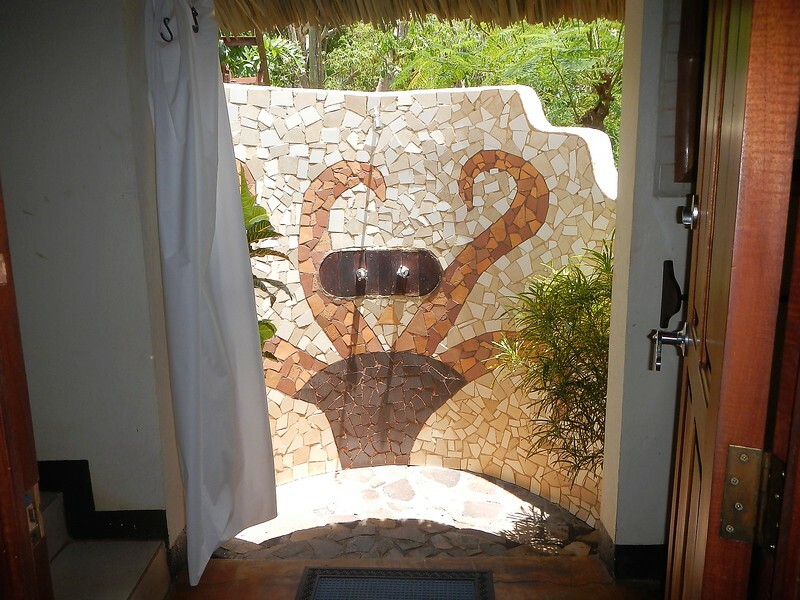 Here was the outdoor, solar heated shower. Our last night the skies opened up and the rain started dumping for real with thunder and lightning. 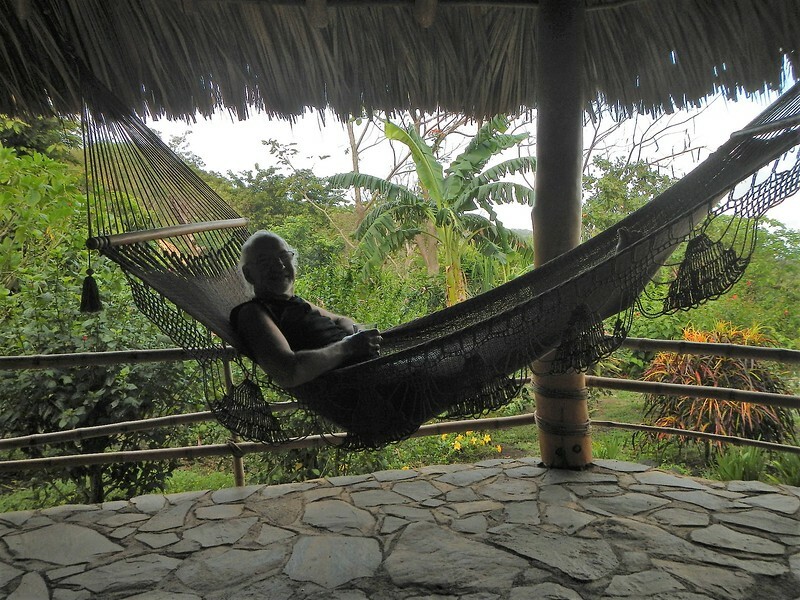 We stayed dry under the thatch roof and it was sort of fun weathering the storm drinking a glass of wine and reading books on the hammock. Ahhh, it can be a rough life. Up early we were determined to catch the 9:00 AM ferry which meant an 8:00 departure from the lodge. No worries because we have been waking up early anyhow and it was better to ride as early as possible because of the heat. Here is the ferry arriving at the dock. The ferry then puts the engines in reverse and pivots around this point to reach the dock. 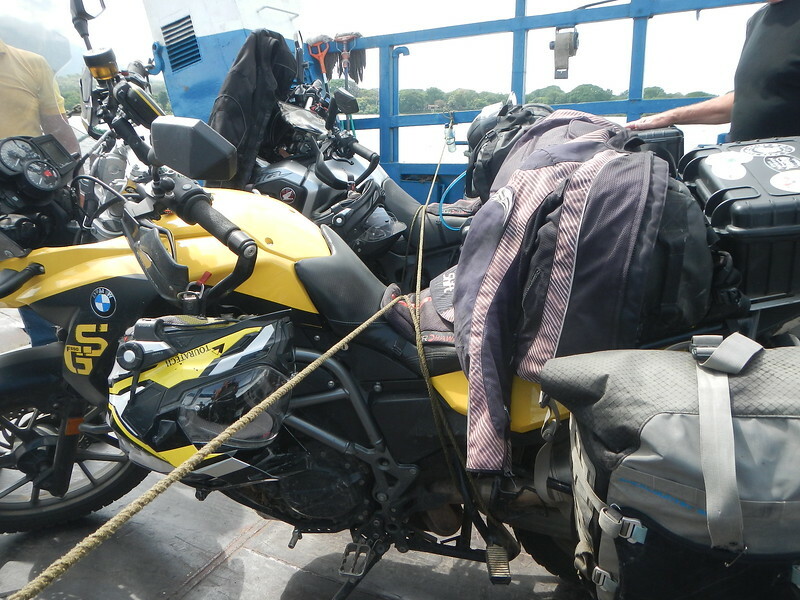 Motorcycles load last and then have to turn around to face outward because the ferry backs into the dock on the other side. It’s a little tricky because being last means not having much room to pivot the bikes around. It was tricky on the slippery, wet metal deck while the boat was pitching in the waves. Finally, the bikes are secured with heavy duty hemp rope. We knew we were in for a long day, 274 miles in all and we had 230 miles to the border crossing with Honduras. We were determined to make some miles and try to get another border crossing behind us. We decided to cross at a smaller border crossing in the mountains, El Espino. We arrived just before 4:00 PM just as the afternoon showers were starting. Fortunately, this elevation of this crossing was just above 3,000 feet and it wasn’t insanely hot. We went through the process un-aided by any fixers and everything went pretty smoothly. There was the usual stuff where we would get a stamp and then have to walk down the street for copies only to return to get another form that then needed two copies. At the end of it all the very nice lady at the aduana desk said we needed to give her $44 USD in cash each. What? She couldn’t explain so we ended up paying it to get going. Good thing we still had some US dollars left. Further investigation online seems to indicate this may be a legitimate charge but I’m still a little suspicious. When we were back on the road the rain let up and we just bee lined it to the next city to look for a quick overnight hotel. 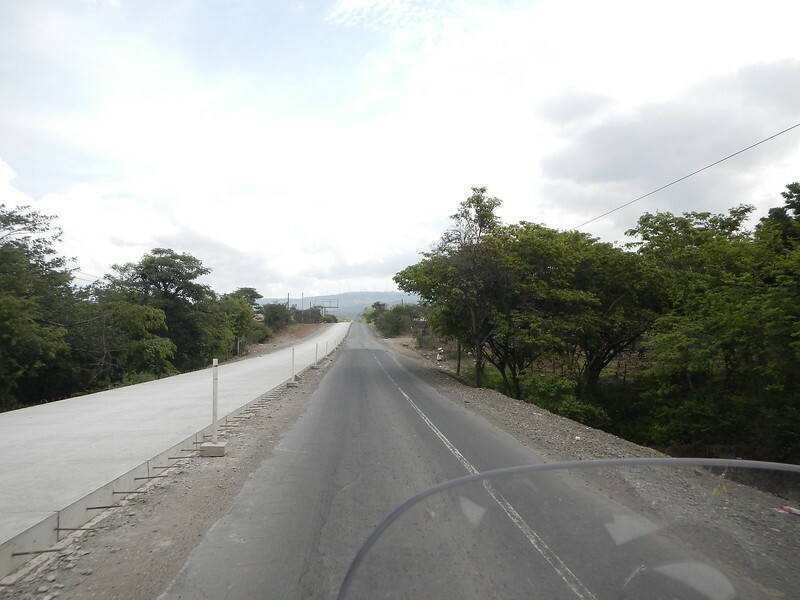 The city was Choluteca and we found a halfway decent place not far from down town. Later when I checked my notes I noticed we stayed in that city with MotoRaid II. The plan was to get to the ruins of Copan on the other side of the country. There were a couple of routes we could take, one shorter and one longer. One thing I learned it that is a good idea to ask people about routes so I asked when we got gas and once found an English speaking guy riding a Yamaha 650 that seemed to know the roads. They all recommended taking the long route and most questioned if the “short cut” road on my map even existed. I’ve had enough with back roads so we give up trying to get to Copan and decided to go as far as we could. The first half of the day the roads were all under construction, most of the ride looked like this. Once we got to Comayaga we climbed into the mountains and the temperatures cooled and the road was finished into a fantastic 4 lane highway winding through the hills. Traffic was light and we had a great ride. It was about 3:00 in the afternoon and the usual clouds were forming for the afternoon rains when I started seeing signs for the Casdata Lodge. First it said 10Km then 5Km then every Km there was a sign for the lodge. 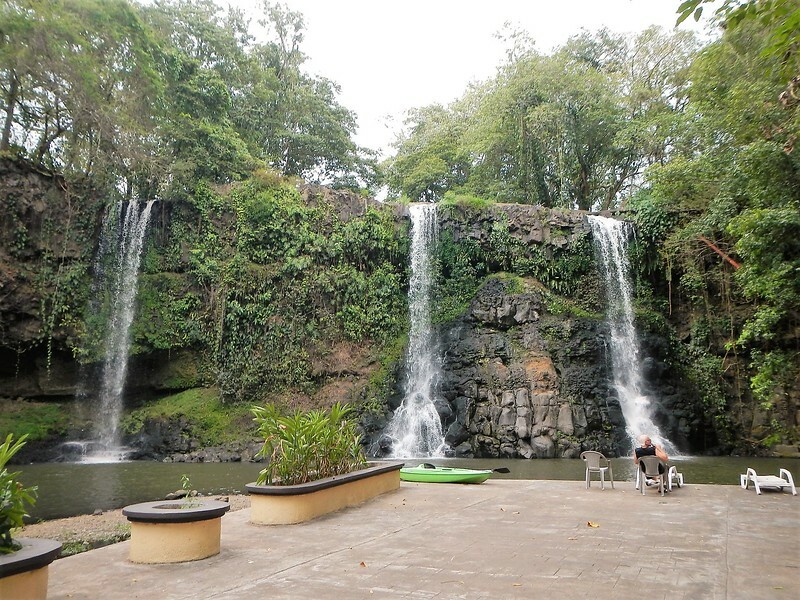 We were probably 20 miles south of San Pedro Sula which is a big city and was our potential destination but I decided to pull into the driveway of the Cascata Lodge not knowing what we would find…. it was great. Down a little path from our room was a natural pool with not one or two but three waterfalls. Looking to the right from this viewpoint you can see the 10 room hotel that overlooks the waterfalls. We saw this guy climbing outside our window…. 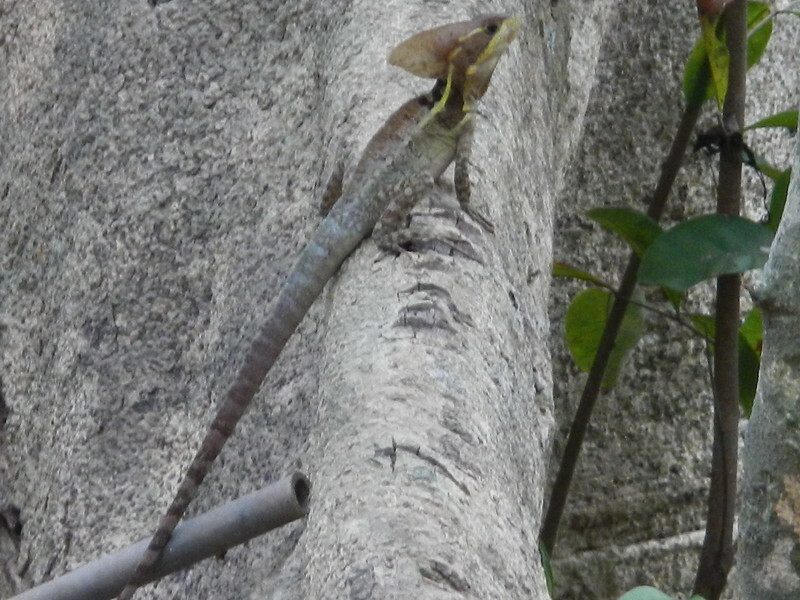 some kind of lizard. That night we sat on the deck with our books and the biggest thunderstorm we’ve ever encountered blew in. It was really wild. Straight up and down bolts of lightning hitting the hills just beyond the waterfalls. No delay between the lightning and the deafening crack of thunder. These bolts were close. It was like our own personal weather channel and we enjoyed every minute of it. Next – the ruins of Copan. So, sorry if this one was a little wordy. 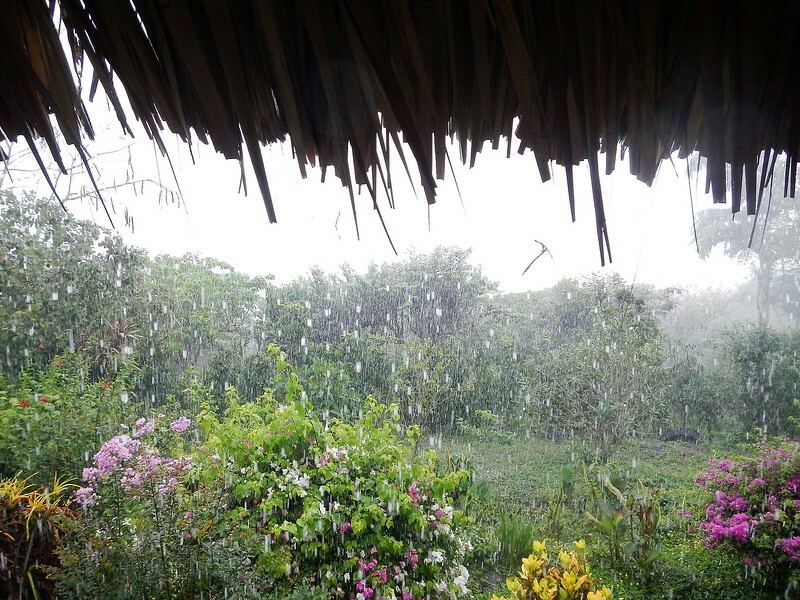 Everyday we battle the heat and rain and are trying to get north where we hope it will be cooler in the mountains of Mexico but are not so sure. We have two more border crossings, Guatamala and Mexico, we hope they won’t be too hard but we’ll see. We should be crossing into the US around the beginning of June. That was a long segment of the trip and post … Tks … Those border crossings are maddening !!! Always glad to hear when you’re resting in the same spot for two nights. Haven’t heard much about what you’re eating lately. If we ever do this again maybe we should take OMAR along to handle all borders? Wow, I’m tired just reading this, I need a nap now! It’s been awhile since I’ve had time to read your blog, dad was here for 2 weeks, he said to tell you hello. You are a great writer Donn, enjoyed every word and picture. I’d really have to conquer my fear of bugs down there, love reptiles though! Beautiful wildlife! Pretty cool thunderstorm n lightning stories too! Enjoy Mexico, we can’t wait to go back! !